Searching for the perfect vacation destination? Longing to see old-growth forests and secluded beaches? If you want to experience nature at its most pristine and beautiful, then Curry County in Oregon should be on your must-visit list. Check out these awesome “wild” destinations that the county has to offer. They may be two of the lesser known beach sections in Oregon, but their idyllic charm more than makes up for the bells and whistles that other beaches offer. Both have breathtaking headlands (Lookout Rock and Sisters Rock) and wetlands (Mussel and Myrtle Creeks), and if you’re lucky, you can catch the sweet peas in full bloom and find yourself awash in a sea of bright and cheerful pink. As the farthest western point in Oregon, Cape Blanco hosts historic homes and a lighthouse that looks like it was lifted from the pages of a Virginia Woolf novel. Horizontal clapboard sidings, a winding stairway, and a fantastic Fresnel lens complete the rustic look of this popular landmark. Next to the lighthouse, you’ll find hiking trails, horse trails, ocean vistas, and lush woodlands, all of which contribute to the locale’s rich natural diversity. At the southern part of the Oregon Coast lie untouched meadows, lagoons, forests, and cliffs that range from 80 feet to 150 feet; they’re all part of the Floras Lake State Park. As one of the more remote parts of the Oregon coastline, the park is known for heady windsurfing winds on Floras Lake and hiking trails along the cliffs. Lower Rogue River starts off peacefully from springs in Crater Lake National Park and gets wilder as it tumbles into the Pacific Ocean 124 miles away –quite uncharacteristic as far as rivers go. 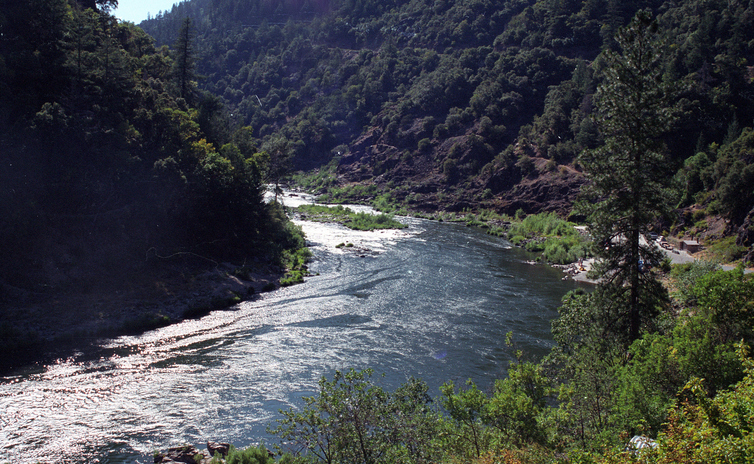 Many visitors come to this river to escape the hot summer temperatures in California, which is just 37 miles south of the river. Aside from swimming, visitors can enjoy a relaxing round of fishing, scenic boat tours, whitewater rafting, beachcombing, whale watching, and other fun water-related activities. Located about three miles north of Gold Beach, Otter Point offers magnificent walking and hiking trails that overlook stunning views of the sea, sand, and rock formations shaped by wind and waves. Tread carefully, though, and stay away from cliffsides because nearly every inch of the ground you’ll walk on is made of sandstone, which breaks easily. From north of Gold Beach, we now head south to Cape Sebastian’s Pistol River, a popular site offering some of the best windsurfing and sailing conditions on the Oregon Coast. Take to these activities in the morning because the afternoon can get very gusty. Redfish Rocks Marine Reserve is situated between Rocky Point and Coal Point of the Oregon Coast. You can sail, kayak, and paddleboard to your heart’s content. Redfish Rocks is home to a wide array of colorful fishes, invertebrates, and seaweeds, making it a treasured spot for sightseeing. You can look, but you can’t take any of the fish with you, due to its marine reserve status. Curry County has an innate beauty that very few people get to discover. If you would like to find out what else the place has to offer, contact the Coastal Oregon team here. Or call 541-661-3056 for Marie, and 541-661-3301 for Bret. We’ll be glad to answer your questions and help you understand your real estate options in the Southern Oregon Coast.